Carlos and Donna Royal have an eco-friendly backyard. The lot is an acre in size with lots of trees and plants for wildlife. 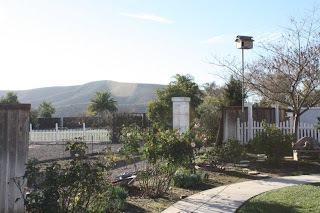 In addition to Molly and McGee, they have had kestrels, bluebirds, hummingbirds, phoebes, wild ducks, killdeer and mockingbirds all nest and raise their young in the habitat. They do not have any cats or dogs to disturb the wildlife. Carlos and Donna are high school sweethearts and, after several careers, are now retired and “in the fun time of their lives”. They’re thrilled to offer quality programming and are thrilled (even astonished) by the response the world is having to Molly, McGee, and their brood! Donna and Carlos, thank you so much for sharing Molly, Magee, and the owlets with us. It’s been quite a ride!! “Gee, that was fun and I was a part of it.” Carlos, you couldn’t have said it better! Thank you so much for all the effort and care you put into sharing Molly and Magee with the world. I started watching the day Wesley hatched. I have been “watching” birds since I was a small child. We count the birds at our feeders in the winter for the Cornell U Feeder Watch program and observe birds where ever we vacation. This experience has been a once in a lifetime blessing. It has also been just what you wanted it to be….a lot of fun. Thanks again for your time and patience. I will miss you and the owls when it’s over, but will always have wonderful memories to cherish. I can say that I was part of something very special. Have a great vacation. PS. If you ever publish your pictures in book form, I would be interested in purchasing a copy. Don’t know if you remember but many years ago there was an owl that perched on the roof of my house at night. It would silently swoop down and capture bunnies grazing on the lawn between the house and the garden shed. I hadn’t seen it for years. Last night, while I was watching on the computer Molly, McGee, and the owlets (who were making a lot of noise screeching and hissing waiting for their food) I heard screeching outside. Went out on the balcony and saw and heard a big owl flying around screeching. It must have been on the roof and when it heard the noise from my computer thought there were other owls close by and went looking for them. Poor confused owl. Thanks so much for bringing Molly and her family to the world. Like all the other MOD’s, we’ve thoroughly enjoyed the experience. You’re the best mom! Happy Mowlther’s Day. Carlos and Donna what an example you have set to these millions of people, your selflessness to put forth the effort, time and cost. In reading the chats so many people are amazed that this is for our education and enjoyment of wild life with nothing asked of us. I know that many many people now have an appreciation of wild life that they have never before even thought about. Thank you forever and now perhaps you can go on your trip to Canada soon. Molly wasn’t in the nesting box. I assume she needs her energy to hunt for her growing babies. I keep hoping you will post this type of news on the U stream webpage. Just some facts about whether mother owls usually leave their babies alone, when the owlets will practice flying, where is Molly during the day? etc. Thank you so much for the joy you have brought my family! We have been watching Molly, McGee and the babes since the end of March and never get tired of it! We live in San Marcos too, and love to think that our favorite owl family is close by. Thank you for all your time, energy, and money to share this with us! Can’t wait for them to fledge, but it will be sweet bitter sweet! Thank you so much Carol and Donna for sharing these owls lives with us. You probably spent alot of your time and money fixing this where we could see it. I really think you are kind, caring, and unselfish people. I have really enjoyed the process of the hatchling to fledgling. Thanks for sharing it with us! Thank you ever so much! This has been an experience I will never forget. Your time and energy is astounding. I have always been an animal lover, but I now have a much better understanding for owls!! I will hate to see them go–it will leave a lot of empty time in my life!!! Again, thank you!!! Thank you so much for all you have done for the world with this webcam. i have been glued to my computer and thank God for iphones, because you are up in front of my monitor all day at work. i sent you a card and a check because i am so thrilled with what you have done. i heard you on just a few minutes ago and realize you and Donna are taking a vacation, but if you have Molly or any other animals come back, please reconsider and do this for us again. we will miss you and your family and all your love you have given to Molly and McGee and family. i would love an email, telling me if or when you do this again. I’m staying up late because McGee has not deliever any food for his babies. I pray he is okay. While on vacation I had to keep track of them by taking my lap top. Thank you so much for Molly & McGee and owlets. I need to take a moment to express my gratitude to you for sharing Molly, McGee, and owlets with us! We have thoroughly enjoyed watching the happenings inside the box, as well as your updates and narrations throughout the process. We are a homeschooling family with 5 children living in Southern Illinois. We have all learned so much! The method we use in our homeschool utilizes a lot of nature study, as an introduction to science, so your willingness to put this out there for us has made my spring nature study curriculum VERY easy! Thanks! We have spent many lunches and snack times with the computer on the counter so we could hear your narrations and keep up with the happenings in the box. We feel like we are becoming owl experts! I have heard you share many comments from others about how much you have touched their lives, and I just wanted to be counted among those who have been blessed by your efforts and willingness to share yourselves with the world. What a neat time we live in! Well, I’ve carried on for long enough! I can’t seem to find the words that I feel completely express our family’s appreciation for this wonderful adventure you have taken us on. You’ll just have to know that our gratitude has not been fully expressed! I missed the tour of Carlos’ spectacular yard. Is this posted somewhere on the Internet where I can see it? YouTube? Thank you. Carlos and Donna….I am glued to several wildlife webcams but yours is in a class all by itself. The others have a few viewers at a time, but you adding comments and information has made your’s the most famous in the world. It’s nature and wildlife combined that makes the difference. Thank you from the bottom of my heart for connecting me to nature again thru your time and efforts. I will never view wildlife the same as before Molly/McGee and family. Try to get back to normal life again and God bless you richly! Many, many thanks for sharing your owl box with the world! Altho being a late comer to the owlets’ maturation (since the third week in April), I have been fascinated in watching them, along with Molly and McGee’s treat deliveries, and in the process, have learned so much about barn owls. It’s amazing to see how quickly they develop, coupled with their in-box antics. I anticipate seeing their further adventures once they leave the box. And, after the owlets fly away, and the Molly site goes dark, I hope that you guys enjoy a most deserved vacation to wherever the road might lead. I have also enjoyed viewing your various pics of fauna, flora, drawings, and the “$80K Walnut Sculpture”. Keep up the good work and have fun in doing so! How about a t-shirt that says something like that. Really simple, nice calm color…”Wow, that was neat, and I was part of it.” Then underneath, maybe smaller, Molly the Owl 2010. If you do something like this I bet you’ll sell ’em out. And if you do something like this please let me know, I’ll buy a shirt. I saw you didn’t follow up on my query about the “real” McGee and Molly, so here is a link to show you. Everyone called him “Fibber” but Molly always called him “McGee”. You have given so many of us nature lovers a rare opportunity, and you are to be highly commended for your efforts, your time, and your commitment to the furthering of numbers of wonderful birds to our environment. Thank you so much!!! Hope you both have a much deserved vacation when our owlets are out on their own. Donna and Carlos…thank you so much for the time and effort you all have put into all of this. You all will never know the joy you have brought into Bob and I lives and all 7 of our grandchildrens and my 81 year old mom who has been with us this past week! Her question of the days have been “How’s our owl babies?”…thanks you made her days fun!You all are a blessing…foot prints on our hearts. Love from Grant Al. I have been watching since there was only one owlet hatched. I work as an aide in a kindergarten classroom and have shared it with the kids. They are fascinated as well as myself. I am just amazed at how fast the owls have progressed. Thank you for a wonderful journey. It has been educating as well as entertaining. I will miss keeping an eye on them. I’m a writer, and I’ve been following Molly since right before the last two eggs hatched. Thank you so much for giving us this glimpse into the natural cycle of a beautiful pair of owls and their babies. I’ve sent the link to my readers on Twitter and Facebook a number of times, because I think that with more exposure like this, perhaps people will start working with nature rather than against it. Whatever the case, I know that these weeks of watching the owls has changed me (not to mention, I needed owl research when I found your site and this has been the best hands-on way of observing barred owls that I could ever hope for). I guess what I’m trying to say is: thank you. For giving your time, your energy, the money it takes to keep everything going, and most of all–a place for Molly and McGee to raise their babies. You’re truly a friend of nature. Thank you so much for doing this so we can enjoy learning about these barn owls. It has been so amazing to see them grow. They are such cute owlets & will be beautiful owls. You have provided us with a unique & wonderful experience which most of us would not have had if not for you. thank you so much for sharing your fabulous adventure with us. It is truly a gift from you and from the owls. I have noticed that the chicks aren’t banded. I’m wondering if there is any ornithological interest in following these birds as they grow into adulthood after fledging. Thanks so much, Carlos and Donna…this is such a wonderful experience. I live in Gainesville, Fl. I’ve been watching since the owlets were fuzzy balls. Wow….what an exciting experience. Forty years ago, I raised a Southeastern Screech Owl that kids brought me after it’s nest fell out of a palm tree in south Florida. Couldn’t release him back into the wild so he lived with us for several years. The opportunity you have given everyone to learn and appreciate these lovely creatures is terrific. I loved hearing the questions from the classes. Thanks so much for all that you’ve done. You have gone to great expense and effort to give millions a glimpse of nature. I can watch M&M and now the owlets, for hours. Excellent cameras and video magic! You and your wife are two great spirits for those us us not able to watch these specific species of birds. I have enjoyed countless hours watching and listening to your site. You are amazing and very generous. Thank you for sharing this experience with the world. I was so moved to see Max fly. I would never have that memory if it hadn’t been for your cameras, you and your wife. Please accept my thanks and know that you have touched my life and enriched it greatly. Thanks so much for providing this insite to the owl world. My students have enjoyed watching in the classroom as well as myself (staying up late every night!). I do not chat but definitely have MOD. Question: I have copied several pictures and have put them on the bulletin board. I plan on having the students (4th gr) take one to put in their journals before school is out. I see you have everything copyrighted. May I do this? Thanks again. I am retiring this year after 43 years of teaching! Loved almost every minute of it! Carlos and Donna – I just want to thank you for all you have done to make the owlbox visible to all of us. I am currently watching 2 of them fly and it is an awesome sight. Carlos, thank you for building the “additions” to the owlbox. Had you not done so, we would never have had the opportunity to see such a glorius bird take it’s first flight. You are good people and I hope you will do this again if opportunity presents. Just Thank you, it has really been fun! Thank you Carlos and Donna for going out of your way to make the Molly, McGee and Owlets an unforgetable experience. Because of you, we’ve watched the life of Barn Owls unfold and learned so much about wildlife and nature. Some of us have met some very nice people via online and in person! God blesses those who are a blessing to others, and this describes the Royals. Have fun on your travels! Have you thought about a blog with photos and stories of your travels? Well, Donna gets back her dining room table and household and Carlos is on to other adventures. We will miss you so. Via con Dios my friends. We would like to thank you so much for all your hard work, time and effort into such a loving task. These owls are God’s creation and gift for all of us to enjoy. You have gone out of your way to build the owl box with your grandson Austin and look what you have created for us to view all over the world. My girl friend called me about two months ago and told me about this. I in turn told many family members and friends, and just multiply that over and over again. Never did I think I would be addicted to watching owls such as Molly McGee and owlettes, (Max, Pattison, Wesley and Austin). After the fledging of all four owls, you and Donna truly deserve a nice vacation. Be safe and enjoy your quality time together. Carlos and Donna, There are no words to adequately describe our appreciation for your contribution for all of the world to absorb. Wildlife is such a vital part of our universe, yet many of us do not near have the knowledge (or even an interest) to know about the wildlife so close around us. What you have accomplished here has done “wonders” for the world, in informing us of our immediate surroundings, yes, even in the suburbs, this can take place. We are hoping you have a great vacation after dedicating such an effort for us all, with your indescribable contribution for all of us to enjoy. All of us will be extremely sad when this chapter of wildlife watching enters it’s final stage and comes to a close. We have all become friends of the owls, and the Royals, due to this intimate experience. All I can say is WOW and express my deep appreciation for the birds-eye view you have offered the world of this wondrous event. I have followed the video streams since February with absolute wonder and awe. I feel a certain kinship to the Royal’s Owls and to you Carlos and Donna. I have loved your live chats,your enthusiasm, your exceptional sense of humor, and your meticulous attention to detail. As the days wind down I am filled with excitement and sadness. I will miss The Babies and The Royal’s! This is my first visit to your blog and I am blown away with the magnificent photos you have taken. There has got to be a well deserved documentary in the works for the videography, stills, and worldwide attention your project has received. I hope so, I’d love to see the story retold! I can’t help but ask what you are going to do with yourselves when The Babies fly the coop?? Godspeed to you both and to The Babies. I will watch for an announcement of what follows from here. Have a wonderful summer, can’t wait for warmer weather!!! I cannot adequately express my appreciation to both you, Carlos, and Donna for how much you have given me – and everyone else for that matter – by taking us inside the lives of Molly and McGee and their 4 owlets. My life has truly been enhanced by this. Thank you from the bottom of my heart! Although I have never chatted online, I have been here since the first. Ordered the books and cartoons. How great a service you have provided to all of us. Wish you were my neighbors. All the best in the future to the owls and to you both…. Thank you so much for the wonderful opportunity to see nature close up and in such a personal way! I’ve enjoyed watching the owlets from the beginning…even just before Max hatched. I even got my family involved in watching and my high-school age son was especially fascinated while watching Wesley hatch! Even my husband, who thought I was crazy watching so often, enjoyed seeing the amazing still photos of the babies as they finally emerged from the box. You’ve changed our lives! We know it changed yours, too. Way too busy! Just appreciate everything so very much. Visit us in Niceville, FL any time! Thank you again and again for a great fun experience. My grandchildren and I on either side of the country have been brought together by this experience. My life is different now when I go outside and look around me. Sincere appreciation from the desert southwest (and enjoyed seeing your green lawn). Thank you so much for this true wonder. I have watched the owls daily since Feb. I will miss them and will miss your voice too. My life has been enhanced by watching, learning, reading about barn owls. I am deeply grateful to be a part of this audience. I shall always remember Molly, McGee, Max, Patterson, Austin and Wesley. It’s been fun. I can’t thank you enough for everything you have done. I’ve watched at home & with my students at school since our little guys were eggs being fussed over by Molly. (aka Mother of the year! )Although I have never chatted, it has been a ball to “lurk”. Thanks again, it has been great and I was a part of it! I just went back and watched the video of Wesley hatching. What a journey you have taken us on! Carlos and Donna, you have devoted so much to this project that I had to stop watching and say thank you Royal family, for sharing this experience with the world. You have touched a lot of hearts. I will never forget this experience – YES I have had fun! The Royals are a special pair of people who, for the last 3 months, have been willing to give freely, their time, money and hearts to, share with the rest of the world, the life and times of a precious family of owls. They will never know all the smiles, laughter and friends that have been made, during this time. There are untold life-time friendships and lives that will be a little bit happier because the Royals shared a part of their lives with us. God bless them, the owl family and anyone who helped them (especially the moderators). I’ll bet you never dreamed that little owlbox would lead to all of this….and like it or not, you are both going to be household names before it’s all over! I want to send out a special thanks to Donna who is the one who dreamed the dream. She “instigated” this incredible adventure and while it’s occasionally been mentioned, I don’t think she has gotten her proper due. Thank-you, thank-you, Donna!! Without your inspiration,creativity, and unending assistance and support none of this would have been possible. You and Carlos are a great team. We love you both and always will! First Donna, thanks so much for requesting that Carlos set up an owl box. Little did you know when you asked that there would be a entire world wanting to see it with you. The inspiration and world of knowledge that we have all gained watching these magnificent creatures has been overwhelming. I am so proud to be part of these great adventure. As a artist in fine arts I would love nothing more than to see you publish a book with all your terrific photos. I would buy a copy at the onset. I know you are looking forward to your vacation and cannot blame you one bit. I know this has been an overwhelming experience for you both. Always remember you have contributed much to the world and have made millions of folks very happy. Enjoy the rest of your life and God bless you both, you are quite a team. I can’t tell you how much I’ve enjoyed this experience. You’ve done a tremendous amount to raise awareness of the wonderful creatures and maybe make us all take more care with our environment. The pictures are fantastic. I can’t get enough of them. My husband and grandchildren also enjoy them. So thank you once again. You’ve done a great thing. As a Fallbrook resident with an Owl Box in my yard I would like to thank you for sharing your experience with us. I have listened to many of your talks with the grammer school children, you are what this country needs more of!! I had a pair for about 3 monthes and then they disappeared. We think one got hit by a car as we saw a dead one in the street a block away. I would like to install a camera so I went to Frys based on your experience there. I have a distance of 210 feet from house to box. The people at Frys seemed to think that is a problem. Can you shed any light on this for us. Thanks for what you are doing. Watching this beautiful family of owls grow and transform each day has been a profound experience for me. I’m amazed at seeing the love and care these creatures have for each other. It really has been a reminder for me of what is most important in life. Thank you so much for giving your time and resources to share this great experience with the rest of us. We had barn owls nesting across the street from us several years ago, but even that close did not approximate the beautiful experience you have provided. I am particularly appreciative of the gorgeous photos. They are stunning. This ongoing “drama” has probably added to the knowledge of owl behavior as well. For a miracle that most of us would never see! Carlos and Donna, thank you for brightening my first spring as a widow. The time I have spent observing the “cotton balls” turn to owls has been uplifting for me. Gee, this was fun, and I was part of it! I will miss you; have a lovely vacation. Thank you Carlos and Donna! You have brought so much joy and comfort. I have learned to relax and take life easier. It’s been an amazing, once-in-a lifetime trip! I cannot thank you enough for this exciting, thrilling adventure I have been a part of. I have been hospitalized twice thoroughout all of this and getting out and back to the Owlets and Molly and Mcgee was a big thing for me. I missed all the owloholics on the chat room as well as all the fun we have in our discussions about whooo is whooo. ty again from the bottom of my heart it has made these last few months much more bearable for me knowing that I just might make it to see them all fledge. I ordered the all the e-books and cannot wait to have them forever. I’ve said my thank you’s before, and continue to be enthralled every day and night with this experience. Please tell me where I can see the pictures you are taking at night. I’m not on Facebook. Thank you so much for the barn owl. They are a joy. If you took your photos and created a book through Blurb.com people could go on a purchase the book if they wanted. I have made books with Blurb and the quality is unsurpassed. Carlos and Donna, I can’t thank you enough for the awesome look into the life of a Barn Owl and their Owlettes. It has been a once in a lifetime event . You have put your life on hold to bring this amazing story to life for all of us who have been watching since it began. Such a love story of events. Molly and Mcgee have been such good parents and the little ones now grown are such a tribute to their efforts as parents.It has been such fun to watch and wait for each chapter. Now the story is coming to an end and even though it is sad to let go it is with such happiness to see that the owlettes are such loving and successful little creatures now who will have beautiful stories themselves. Thank you again for all you have done to bring this to us. I don’t chat online but have enjoyed all the chat since you started this site. Your narrations with the school children has been awesome and what a lesson in wildlife for them. Have a great time at the picnic today and i wish you a wonderful and safe road trip when the last baby has left the owl house. Thank you again for this wonderful event and all you have done..
With love and graditude…..Hazel Turner of Yakima,Wa. I have read the above comments and they express exactly how I feel. I expected to stop by the site once in awhile, needless to say I came and stayed. The owls had me misty eyed,laughing and spreading the Molly world. I’ve been watching day and night from North Carolina since early on. It has been a life-changing experience for which I’m extremely grateful. I’ve heard Carlos talk about things that people have sent them, but I’ve not been able to find a mailing address for them anywhere. Can someone direct me to this information or simply give me the correct address? Many thanks. computer here in England. Once again many thanks. It is only fitting that you will be able to start a new adventure by leaving on your trip just as our little family departs to start the rest of their lives. I wish all of you–human and fowl–happiness and safety on your new journey. Carlos and Donna: Please, please, please print a book of your beautiful pictures. There are probably a lot of us who would love to own this pictorial of the drama of Molly and McGee’s family as they grow and leave the next. It would be such a wonderful treat for those of us who have watched this drama unfold. My office mate also indicated that this is a wonderful story and drama and could include pictures of all the items sent to your by loyal fans, i.e. stuffed toy mouse,etc. so show how this has touched so many people. I agree! I know there is an online book, but my computer is an older one and I am afraid the book would not come through. What a fantastic adventure you have given so many, Thank You from the bottom of my heart! Have watched since mid-March and am almost getting depressed knowing that very soon it will be all over except the memories. A book of your photographs would be awesome, and I know I am not the only one who would love it. I consider myself a MOD, a silent one as I am not on Facebook or Twitter, but a MOD!!! I love the nitely “hissing” and will miss it and will miss the Social Stream & Chat room; your talks filled with info, etc. Molly, McGee, Max, Pattison, Austin, & Wesley are beautiful and will be remembered by all! I am on a farm in Troy, Ohio and hope to see an owl here! I’ve wanted to thank you, but didn’t find this site until today. I began watching the livestreaming as the eggs were hatching, and I continued, fascinated, until my husband and I left the end of April for a month in Europe. I suggested it also to my 4 children and 6 grandchildren. This was a great service you offered, and I learned much and enjoyed it. Now that I’m home again, I find that that site has changed some, and I have to wait through an ad and then just see some close-up feathers, but maybe now I’ll get some other things accomplished. :-) I’m originally from L.A., now in MI, so I also enjoy the glimpses of southern CA. Thank you Carlos and Donna for opening the window of your life to the world. This is a precious gift no one can top. Thanks for being so generous. As this great experience draws to a conclusion and the owls grow up and leave home, we have all been so fortunate to have been a part of it all. The thanks and gratitude I feel have been expressed here with every post written. Words cannot convey how much having these owls to watch has meant to me. I have been bird watching for about 10 years now and I just never tire of the newness and what I learn and how birds bring so much peace and comfort to my life. Knowing the owletts are leaving is bittersweet but knowing you will get on with your lives makes me sad. I so have enjoyed your enthusiam and committment to the difficulties and trials of having these cameras up 24/7. Life is fleeting and you have touched my life if only for a short time, the effects will always be with me. Thank you so much and thank you Donna for your support and committment also. Gee this was fun, and I was a part of it!! In Bob Hope’s words…”thanks for the memories”! I have found this to be a most fastinating and captivating journey. Watching the entire owl experience has been an education and has filled my heart with joy!!! I also find the 2 of you to be an inspiration with the caring, knowledge and truly thoughtful communication you have provided throughout this barn owl experience. You could have just left the camera rolling, but you added your love and insights and shared them with the world. Thank you for your wonderful owl box! I have so enjoyed it and shared it with my grandchildren. The world needs more people like you that obviously love the wildlife. You have touched the lives of many people. God bless you. Never wonder why you were put on this earth. You have brought millions of people together from all over the world young and old to experience something absolutely spectacular. This is something that will forever stick in the minds of all that have seen it. It’s been amazing I will never forget it or the two of you for making it possible. Thank you from the bottom of my heart. You have made a ton of memories for so many. Like everyone else I’m pretty emotional over the owls fledging and the possibility of not seeing them again but I know how blessed I am for getting to have them in my life. I want you to know that I love to hear your voices and see you both on ustream and that you guys are two of the most giving, loving and wonderful people that have touched my life. Having to pause to wipe away the tears….can’t see to type. I pray for you and your family that God will continue to bless you all with good health and love for each other and to help with the grief that you must be feeling too. After all, these are your babies and you’ve been great guardians of God’s creatures! I join the many others in thanking you both and expressing my appreciation for all the hours, energy, and money you have put in to this wonderful owl project. How else could all of us had the opportunity to be an intimate part of this owl family? I am over 80 years old coping with a chronic illness plus ageing – I cannot tell you how much it has helped me get through some difficult days. It has been a heart-warming adventure and although there have been a few stressful moments, I have often found myself laughing…all by myself! It has been a welcome detraction from serious world and national problems. God bless you both. They say that timing is everything. I happened to learn about your “adventure” from a gentleman at my church. He thought it might be a “fun” for me to show the streaming to my fourth grade students. I gave it a try. I was hooked and so were my students!!!!! I made frequent use of a SmartBoard hooked up to the computer to watch the hatching, growth, and antics of this endearing family of owls. Since I has just finished reading two well received books (The Guardians of Ga’Hoole and There’s an Owl in the Shower) about owls to my class, my kids already knew some facts about their behavior and habitats. But actually witnessing these things happening (although 3 hours earlier here in CT), made the learning that much more valuable. As a veteran educator, I am always thrilled when I can make learning meaningful and fun. Since I will be retiring from education at the end of this school year, I wanted to do some things that would be “memorable” for my kids. You have made that possible. Thank you so much for all the effort, time, and dedication it took to make all this video streaming possible. The lives of countless children and adults, will be forever changed due to your inspired diligence. I know that somewhere there are budding naturalists who will later recall that what got them started was watching barn owls hatch, grow, and thrive in San Marcos, California. In reading all the wonderful comments here, I just want to say “ditto” Words cannot express my gratitude in what you have done for the world and the owls. My little granddaughter, Kara, has sat and watched this journey along with everyone. I’m so glad that Carlos listened to his wife when she asked for an owl box!! Nice job, Carlos!! Thank you from the bottom of my heart for your graciousness in allowing the world to enter your home and share your lives. You are the best and our family is eternally grateful for this awesome experience. You are so loved by the world. This has been a wonderful experience. Thank you for opening up your home and hearts so we could all share. It has helped so man people and caught the attention of the world. Your gift to us all will live on in generations of children who will remember their first glimpse at the life of these beautiful owls. We are friends of Don and Linda Schulz here in Waxahachie, Tx., in the Cool Cars Club with them. Don told us about you two being friends and I am so glad he put The Owl Box in my computer on Feb. 20, when they were here for a Club Party. You two have made the last 5 mo. a real joy for me, as I have watched each day and night. Thank you so much for sharing this wonderful story with us and the world. Would love to hear from you personally. THANK YOU BOTH FOR TAKING YOUR TIME EVERY DAY TO BRIGHTENED OUR LIVES WITH THESE WONDERFUL OWLS!!! YOU HAVE BROUGHT SO MANY PEOPLE TOGETHER OVER THE WORLD.PLEASE LET US KNOW WHAT IS GOING ON IN YOUR WORLD. IF AND ONE EVER SPOTS MOLLYS FAMILY. For Donna and Carlos, as well as all our Moderators and those faithful Molly-watchers! Gee this was fun, and I was a part of it. I wish you the best for a great vacation! I have totally enjoyed the oopportunity that you have given me to share the times of Molly/McGee and family. Some of my friends think I am crazy over the worry and joy i have had with this group, but I don’t care. It has been one of the most beautiful experiences of my life and I thank you both for sharing! It will be very sad, once there is an empty box, but life goes on and I wish the entire owl family well andsafe hunting! Enjoy your much deserved vacation and I hope we can all share some additional bird adventures in the future. Thank you SO much for sharing this family with the world!!! It is WONDERFUL to see them grow up and move to the Palms!! Please after your much needed vacation, keep us posted on how the family is doing!! I would LOVE to see more pics of them at The Palms!!!! Thanks again and God bless!!! Thank you for the time and love you have given to so many. You have no doubt opened the world of our precious wildlife to millions of young and older people. Have a wonderful vacation, you both have certainly earned it. First and foremost – thank you. I cannot possibly calculate the sacrifices your family has made for us and the owls. Secondly and equally important – I’m sorry. I know you deserve your upcoming break and I’ve no right to ask for more. That said, is there any chance of leaving a camera even though you’re gone – one on the gym, or on the palm tree?? I wish I could describe to you the grieving and loss. It will get better. I knew this time was coming; I didn’t realize how quickly it would all come down after the last owlet was out of the box. More time to see them happy and successful outside of the box would elicit such an omnipotent salve. Hey Carlos, I surely wish you would leave the owl box up there because I really love watching the little guys playing every night. I’m going to be lost with out them! Besides, Molly and McGee might decide to move back in??? I thank you for a wonderful experience but wish it didn’t have to end. Maybe I’m being selfish but I wish that you would leave the Owl Box up online so we can still check on it from time to time. I think I’m going to cry when you take it off the internet. For the first time in a long while I was able to give my house a much needed cleaning yesterday, but my thoughts were with the owls. I wish them rodents aplenty and skies of blue with gentle winds- and always, always a friendly world to live in. The same is wished for you, Carlos and Donna….minus the rats! Thank you for sharing this with us and thank God for His beautiful world. I can’t believe it’s all ending so quickly. I was watching the tape from last night and was that Molly and McGee checking out the box again? Would it be possible to leave the camera on just at night, maybe pulled back for a wider view? Those owls and you, have become like family and it will be like cutting of an arm once you’re gone. And if things pick up again… how will we know? Oh, I hope you will reconsider and stay on at least at night when the owls are more active. No matter what you decide, thank you for a most wonder peek into God’s wonderful world of nature. I just wish it didn’t have to end. Please, please, please consider leaving up the night outside camera for a few more days! Thank you for everything. You created something wonderful and lasting out of something so ‘common’. You’ve opened the eyes of thousands to the everyday world around them. What an amazing gift. We’ll never forget this experience. Words can not begin to describe the enormous amount of joy you have given to us. I will forever remember this whole experience. Thanks for the great experience! I’ll never forget it. Thanks for a great, wonderful experience. My family is better for having watched this together.The best to your family. Hope you guys have a great trip and will consider resuming broadcasting, at least on a small scale, when you return. Fabulous turn of events! Thank you for such dedication and selflessness! This has been so great! And I can’t think of a better ending then Molly and McGee setting up housekeeping for the next batch. Please notify me of your next foray into wildlife cams. This one has been so great. Thank you for all you did to make this so special for so many people! I have enjoyed every minute of the Owls. Please notify me if and when you do this again. Thank you for all your time and kindness toward all of us. God bless all of you. Thank you so much for this incredible experience. My daughter and I have enjoyed every minute! You helped to give us all a glimpse of nature and all its granduer. God Bless you both! I have so enjoyed this time I have spent with you, Carlos and Donna and Molly and McGee and the owletts and now it looks like a new beginning for Molly and McGee. I hope you have a wonderful vacation and perhaps we’ll see you two again in the future. I will miss you all. Dear Carlos and Donna, Thank you so much for giving us this view into the world of Molly, McGee, Max, Pattison, Austin and Wesley. It has been a priviledge to watch them. Good luck in your future endeavors. Enjoyed all the pictures. Enjoyed every minute. I just wanted to thank you for all that you have done to educate so many about the wildlife. It has been a wonderful experience watching the most famous owl family in action. It made my day getting up for work knowing that I could watch the owls before I had to leave ( I live on the east coast). I really hope you consider doing this again. I have purchased a book for myself as well as for one for the school I teach at. Thank you again. Looks like Molly and McGee are back! Please don’t cut us off. It’s great watching them courting and getting ready to raise another family! Please, please. If M&M have another clutch, please broadcast it – you don’t have to go to extremes to please us – we don’t need photographs, books, picnics, interviews, school broadcasts, etc. – all the external stuff that surrunded Molly, McGee and the owlets this time. All we need is the day cam, night cam w/mic and a place to chat and we’re happy. A lot of your time was spent on extemperaneous activities that we don’t need the second time around. It turned into a full time job for you because of all these things. Keep it simple and we’ll be happy – if anyone doesn’t like it they do have other sites they can go to. We love our M&M and family. Thanks Carlos and Donna! Have a great vacation. Thanks again for the wonderful experience of Molly and McGee. Your work and dedication was greatly appreciated. It has all been said before. You have changed people the world ’round with this wonderful project and you have changed ME! God bless you both for all of the great work you have done. You know, life is really about leaving things better for others than you found them. There is just no higher calling. And, you have accomplished that many times over. Please keep us updated if you can. Enjoy your vacation though I just can’t imagine any better vacation than being right there in your backyard, watching the owls and other birds! Wow—what a wonderful you share! Thank you so much Carlos and Donna for an amazing life experience. I was going through a divorce, when a friend of mine sent me the link to the owls. It became the best therapy!! I will miss all 6 owls so much!!! Best of luck to you! And thank you for teaching us so much about barn owls. You should be proud of what you accomplished. You guys really know how to have fun. The Owlbox community was special because of a few basic rules and your genuine sense of joy and wonder. Thank you for graciously sharing your view of the world and showing how the best things in life are in our own backyards. Carlos and Donna – Just checked your update on the blog, and I so appreciate it. I am amazed how Molly, McGee and all the owlets showed up on the last night of the broadcast and then not again afterward. Like they knew we weren’t watching anymore! The last night of the broadcast was amazing and I will never forget the hours of entertainment my family had watching the owls. Thank you so much from the bottom of our hearts. Okay…I admit I am really a bat person…and owls are predators of bats, but I was captivated by Molly, McGee and the babies. I watched daily as they grew and fledged. Thank you so much for offering to share your lives and give up your privacy for all of us who were enchanted by your owl box! It was a memorable, enlightening experience. I purchased the Molly e-book but have been out of town for an extended stay. I wasn’t here to download the book. Can I still do that? If so, how? Thank you for your dedication in giving us all the opportunity to watch the amazing story of Molly and McGee. From early on, I was a daily and dedicated lurker in Melbourne, Florida. Molly, McGee, and the owlets totally captured my heart, and I miss them very much. I miss the Social Stream as well – so many good people and so many LOL’s. Thank you both for creating such a wondrous network. Thanks, and God Bless. I have tears of joy and sadness as I read your blog updates. Just an update since you left us and got back to your own lives. I have a pair of robins that come to my bird feeders. They have a baby that they are feeding in my trees. So sweet. I love the babies in my yard. It sounds like life is semi back to normal for you. I relate to the weeds in the garden. I hope you guys get to your vacation and have some R&R soon. You sure brought some great pleasure and excitement into my otherwise quite and dull life in my life. I really had no clue there were so many nature lovers/ bird watchers in the world. Thanks again for all the fun. I loved watching the owls and I hope you have a great vacation. Loved the changes to the owlbox Carlos. New cameras, deck and insulation huh? That should help viewing new clutches and keeping everyone cooler and warmer. Just hope we get to see some of the activities sometime! I’ve moved on to watching the Rochester Time Square Peregrin Falcons. Two juveniles with lots of energy and the male is the grandson of the original female Peregrin who settled in the area. It’s been very interesting and I’ll keep watching birds since your project stirred up my interest. Looking forward to the ebook, etc. Thanks again for your hard work and enjoy your trip! Happy Trails Royals for your long awaited getaway that you have so dearly earned. Have fun! You were the ‘special’ ones chosen to bring this wonderful McGee and Molly story to the world and you really stepped up to the plate to make it an educational, loving, family treat for the thousands around the world that tuned in. God has Blessed you and your family. Thank you for all you have done in the prior broadcasting. And I am interested why you tease us with Molly coming back, now an egg, and then say you are not going to broadcast anymore. I think that is kind of mean when you know SO many of us miss Molly and McGee SO SO MUCH. I missed placing the order for an ebook for my wife. Is there any way I can order one now? You’ve already exchanged emails with my wife. I thought I had placed the order, but it turns out the order was for the comic ebook. She thoroughly enjoys the comics, but she also wants the ebook. Can I still place an order? Can picture of Molly & McGee taken in June on the owl box after owlets fledged, the one being sold as a large picture with writing on it for 125.00 be put on a t- shirt? How exciting this has been! It has been such a pleasure watching and learning about these beautiful Owls. Molly and McGee have rewarded us with their beautiful family and the owlets made us smile all the time. You have made this so interesting for us, all. Thank you sincerely and I hope that you have a wonderful vacation. We have loved EVERY minute and look forward to hearing about the new family, thanks for keeping us informed. Carlos and Donna: you have brought so much joy to us across this country in letting Molly, Magee and family come into our livingrooms. The cost has to be pretty substantial from the standpoint of the ustream, equipment, etc. Where can I send a monetary donation to help with the costs of your gracious gift to us through the internet? Also, I did order a book. Did you say they would be sent out some time in October? Donna and Carlos, I would like to add my thanks for all your time and effort. It has been such a pleasure to be able to observe a wild owl in her natural state – what a great way to make people appreciate what they would normally never see. I have like many been addicted to the feed, and can’t thank you enough for turning the cameras on again. I know how intrusive it can be to share your life with so many – you are very special, fun and truly a pleasure. Thanks!!! Carlos and Donna: thank you sooooo much for deciding to broadcast the 2nd clutch. I requested thru here for that (as I am sure others did). Again, you have provided a fantastic opportunity for the world to see wildlife behavior up close and personal…THANK YOU!!!!! Will Austin create a second DVD??? I’m so glad you decided to broadcast the 2nd clutch. I was missing watching them. This is such a wonderful experience. I’m curious about your command center being in the office this time. How did you manage to put it there instead of the dining room as before? What did you have to do differently? Donna and Carlos, I thought I had heard you say that you had named Max after your best friend who had died recently–Was his name Max Hollis, and did you do a “Doomsday Retreat” in Northern Calif? Carlos Royal can’t be thatcommon of a name! Thank you so much for sharing the owls with us. I started way back when the first bunch were barely out of the shell. I can remember when we were all worried about Wesley. Now look at them. I work at the same school that my daughter attends. She will be in 5th grade this year. Her teacher is also very interested in the owls. How do we get in touch with you to maybe be able to talk to the class. They would love that. You are getting to be a great photographer! there! Thought you would get a kick out of that. on one DVD and sell them that way? How do I access owl box 2 that shows the outside? I have searched everywhere and can’t find a link for it. Thank you. much pleasure into my life.Thank you so much for your input. Wow! Albert Einstein is one man that I would have liked to have met. Could a fan be connected at base of pipe with vibration isolation to blow air into the box and help when there is solar heating? Should be little odor or disturbance. I know this ismature’s way in summer but setimes we can help. Keep up the good work and thanks for sharing the owls. More than likely that would act like a heater because the pipe is hot so air would be heated as it travelled up the pipe. We would have to have a large volume of air moving up the plpe to work plus the air would have to start out being very cold, not just cool. Plus with all the lose material in the box the airflow could cause other issues. But it is a good idea. Dear Carlos I am new to this but after hearing of Jodi and Kelly’s passing I was over welmed with sarrow and sadness, I just thank god that the other two little one’s are safe and healthy, thank you for all you have done and that you do for those owls and for us as well. Please, consider putting the Molly songs (all of them) on a DVD. I went to check the songs out but they are all for mp3 which I don’t have. I’m so sorry to learn about Jody. I hope you will post the photo of the owlet in the sky on Molly’s blog. I am new to this site….saw it on the NBC evening news and have been enjoying it ever since. I knew I would like you ….you metioned a motor home….. we were fulltimers on the road for 8 years … now live in Mesa AZ ….. I sure miss that life style a house does not have wheels. I am sure you are looking forward to “hitting the road”. Where do you like to travel? Thank You for making many hours of enjoyment for so many people. Safe travels…. by by BJ. I checked with Ice Qubes today (in Greensburg, PA) to see if any of their little industrial AC’s would work for owl box, because I think maybe owlbox too hot, in nature there might be a breeze in the tree or barn. I was told by Ice Qubes rep, NO, it won’t work because of the door. The space must be totally enclosed for any of those to work. I was just trying to help for the next clutch, hate to see that we lost 2 for unknown reason. I know that is nature, but it still hurtz. Thanks so much for sharing this with the world. Are you running for any office? I would vote for u in a heartbeat! Say hello to Donna too. Thanks again. I wanted to let you know how I love what you have done. I am owldicted to be sure. Being involved in the Owl family’s life has been so precious to me. I also love all the little side stories that come with watching Molly and her family. Glowz is a favorite of mine. I feel that I am Part of some elaborate tale. I have been having trouble getting into your site, where I have been a regular since February. I have noticed that ustream seems different. I have tried with two different servers…Safari, and Internet Explorer. I am on a Mac, but that should have nothing to do with it. I am able to get to every other site I want…just not Molly. How is she and the owlets? This is causing me some concern. you need to do so you can see Molly again. I went through the same thing. Go in like you are setting up an account and you will see the player. I forget the name, might be flash player but not sure. Once you download that, you will be able to see Molly again. Wonderful thing you’ve done with the site and the whole set up. I started watching just after Carrie and Ashley were hatched. I have to laugh when you sign off and you say…”Signing off from Sights & Sounds in San Marcos”…. :-) I live in Austin, TX and just south of us is a town called “San Marcos (TX)” AND…..in December they have a holiday event with lots of arts & crafts, food booths and they schedule lots of different school choirs or any other singing acts and it’s called “Sights & Sounds of San Marcos”. Thank you soo much for all you’ve done and do. I LOVE the owl box and spend a lot of time glued to the screen watching these fascinating creatures. I would like to have the business cards, but since I am definitely not very computer savvy, I don’t know how to open the file once I’ve downloaded it…can you help me? I was watching The Owl Box on Ustream and fall in love instantly with the owl Molly. When I chat with viewers on the chat room, i said i was wondering if there is a children’s book about this owl and I would looove to illustrate for it, since I’m a children’s books illustrator. if maybe on next books in the future there is a possibility for illustrator, let me know. I love painting animals, especially owl. Hey Carlos!! How about a Lanyard (for holding keys/id card/whatever) that says “I’m a Molly Watcher” or “I have MOD” – or maybe says both – or something on that order. It could be in brown like Molly with beige printing. Everyone has keys or id card, etc. – it’s something that can be used for a long time and when you carry it around, people notice and will ask what it means. Hello Carlos and Donna . I talk to allot of the MODS and other chatters about this first to see if they would like one too . We would like to have a Photo Album for our Screen Shot pictures . We all have tons of screen shots and would like to beable to put them into an album . I hope your able to do this , It would be so wonderful ! I love watching Molly and her Family just like the other chatters . Thank you for all you and your Family do for all of us ! It’s been so Wonderful ! Do you think that the kestresls are staying away because of the owl box? How big are the kestresls compared to the owls and how big is the coopers hawk compared to the owls? Are the words to that new Molly song with Dudley in it somewhere on Molly’s blog? I LOVE the Owl Box and OB2 and appreciate so much your ability to put this on the Internet so that millions of us can see nature at it’s finest! So many MODs are so dedicated to the owls. I have taken part in the social streaming (SS) for about a month now. So many folks are knowledgeable and/or so enjoy your streaming of Molly and her family. I am so sorry that I didn’t learn about Molly during the 1st clutch. But, seeing these 2 little things fledge will be quite interesting. I hope you get a good rest after this is all over, but I have a feeling that you will be off on another adventure! I put up a Barn Owl box about 18 months ago. We discovered last week that a Barn Owl is now sleeping during the day in a 60′ Redwood tree about 50′ from the box. Did you find that the Owls started sleeping in the box regularly before nesting in it, or did the sleep in nearby trees? I’ve just finished reading a small paperback book called “The Owl Papers” by Jonathan Evan Maslow. The book is copyrighted 1983, so the “Sage” obviously lived before then. It would be fun to investigate. I found the owl in the wake of NBC’s coverage in August. It’s really wonderful and I commend your patience for waiting two years to find a tenant at the owlbox. I regret not having followed the first clutch and it’s a pity for those who live outside the USA can not catch up by ordering the DVD. I wrote especially for you to make a suggestion. I find it unfortunate that the night was as a camera in OB1 the back of the owlbox while Owlets spend 95% of their time in front of owlbox waiting for treats of Molly or MacGee. The consequence is often we spend all night watching a empty owlbox. Therefore I think it would be smarter to have the night vision camera that gives the front of the owlbox. and would like to add it to my Molly Music. I’ve asked before but not heard back anything. the info on Molly’s blog. Carlos, Donna and Austin, thank you for all you do. It’s been quite an entertaining education. You’ve given up so much of your time, money and energy so that others can experience this fantastic opportunity to watch nature unfold. Thank you. I really appreciate all that you are doing by letting us watch Molly and McGee and family. However, I would love to get a copy of the Ode to the Owlets. PLEASE PLEASE post the words on Molly’s Blog and tell us were we can download a copy of the song. I can’t afford all the stuff that’s available for sale and the songs are inexpensive enough that they will be one of my only souvenirs of this wonderful experience. I would like to be notified if there is another clutch in the spring. I have enjoyed the website and look forward to seeing the owls in the future. Thank you for letting so many of us join you in watching these amazing owls. Your dedication and efforts to make it easy for us to watch with you was so appreciated by all who came to love your family and those precious owls. If you do it again, please let me know. Ashley has a angel skirt on. Carlos and Donna, thank you ever so much for bringing Molly and McGee into our homes and showing us the life of these beautiful Owls. You have given up so much of your time and believe me it’s very much appreciated! Wow to give up months on this project and you are so into giving us so much information and updates, I commend you highly as I have truely enjoyed every minute of it. Unfortunately I did not hear about the great Owls until the beginning of the 2nd clutch and I am sorry I missed the first, but I have grown to love them all and have ordered keepsakes to prove my love for them all!! Enjoy your vacation after this is all over and know the world loves you for all you have done. Again Thank You both so much! Cathy Messer, Spokane WA. You both are to be congratulated for the wonderful way you have allowed these Barn Owls to come into our homes in a way that we would never have experienced without your dream to share them with the world. Carlos, your easy way of sharing updates every day is so calming and as you say “fun” to anticipate. Thank you both and your family and team for all you have done to provide this footage; from all the electronics involved, to adding a mister to the owl box for those hot temperature days, to arranging for and mailing the keepsakes you have made available, to staying up late into the morning hours to capture video and exquisite photographs of the special events each night, and (of course there is much more I haven’t mentioned), helping all of us who had the priviledge of this experience to feel a part of a family through our mutual enjoyment of this unique way to view nature firsthand. Will you plan to video next year? If so, I’ll be back as well as the many thousands/millions who so appreciated all your efforts to make this such an enjoyable, unforgettable experience. Thank you!!! There are few words available to express what you and your family have ment to me. I have had medical issues for almost a year. After many tests, specialists and medications, I still have the same illness. I was depressed and did not want any more meds. I was watching the Today Show and saw their story on Molly. The decision that I made to tune in has changed my life. I have something that is fun, informative and fascinating to look forward to. I am happier watching the owlbox then I have been in a long time. I have never been in a chatroom and thought that it was a waste of time. How wrong I have been. The people on the chat were comforting and fun. You and Donna have put your lives on hold for the better part of the year. You gave up your trip to Hawaii to provide us with this unique opportunity. We are all eternally grateful and wish there was a way to repay you. I will treasure the time spent watching the owlbox, listening to your broadcasts, watching Austin’s video, your photos and reading Molly’s story year after year to my Sisters kindergarten classes. You all have touched our hearts and will be forever in our thoughts and prayers. Thank you and Gos Bless and Keep you All! You live the answer to the question, “What’s the Meaning of life?” The meaning of life is to make a positive difference through touching the souls of people and that in turn makes your own soul grow in understanding and grow closer to God. That’s what it’s all about. You 3 have touched my soul and made a positive difference in my life, as well as my two daughters lives, (ages 3 & 13)by bringing us into the world of Molly. Experiencing life from the beginning and watching with amazement as Molly, McGee, Ashley and Carrie just naturally know what to do. Seeing that is seeing God too and that is brought to us through you. Our lives are filled with a unique joy and our souls are better than they were before you gave us this gift. Thank you for the laughter, wonder, amazement, tears and hope. And mostly for the lesson that Molly teaches us which is to stay very present in the moments of your life. Caring for others equal to how you care for yourself. And know that when tragedy happens to take care of what you need to and then move on to find the joy in those around you. For there you find happiness which is finding God. Thank you Royal family for bringing all of that into our lives. Love, Vicky, Gabrielle and Annie. I found out about Molly from the NBC mention just before the second clutch. Haven’t missed a day or night since. It is a pure delight. I have captured some screen shots and hope to do some watercolors from them. Is there any problem with that? Could I send .jpgs of them to cafe press in case they’d like to use them on articles? I’d like your input about this latter. Thanks for the expert camera work, and joyous commentary. This has been 50% of the fun. Love your photos and comments Carlos. Without you, Donna and Austin this would not be much FUN! Love MODs, mods and all you gutz!! What a great adventure this has been. Thanks Carlos, Donna and Austin for the joy you have brought to countless people around the world. This entire experience has been a blessing. love the owls! thank you for letting us see nature up close! What you shared this morning was well said. Actually the fact that you don’t interfere with nature makes the whole experience more wonderful, because we are seeing the true, unvarnished story of the Molly and McGee family unfold as it was intended. Yes, it is difficult when there are events that happen that cause the viewers to feel concerned for the well being of the precious owlets they are watching, but you are wise to allow them the freedom of non-interference. Thank you again for the truly once in a lifetime experience you have allowed into our homes. Yours is the best site out there!! Missed you this morning, but saw some comments on ss… What you have shared with all of us has been one of the most beautiful experiences I think I have ever had (maybe with the exception of having children!). I for one can’t thank you enough for the past 8+ months. Not only have you shared through ustream but also you have shared your knowledge, pictures, etc. The fact that you do not interfere makes it truly real nature and I admire you for that. Yes, we all know it will be a hard withdrawal on the 20th, but you have a life, too!!! Thank you again! You all are awesome! Words cannot describe the enjoyment I have gotten from the owls. I have never seen anything like this before. I feel bad you have to “put up” with those people who like to criticize. I think their complaints is just a window into their lives. I think they like to find fault with everyone and everything around them. There are plenty of other sites that they could have visited but reading their comments makes me appreciate all that you do for us. I hope you and Donna have a great vacation and that we will be privileged to watch another clutch. Carlos and Donna: I have been here through both clutches and can’t thank you enough for the time you have devoted to allowing us to see this wonderful part of nature. I ordered my first DVD with the intention of sending it to my grandchildren when the children’s book arrived. Austin did such a wonderful job on this DVD that I couldn’t give it up so I had to order a second one this weekend to give to the grandchildren. Have a wonderful time as you also fledge, enjoy your travels and see you in the spring (hopefully)when Molly and McGee return. Good Morning from Halifax, Nova Scotia, Canada. mate again. If you can, I would appreciate it if you could inform me when that might happen again. Thanks again to both you and your wife. Many thanks to you both, Donna & Carlos. Have watched since the first group hatched.Really great!! Appreciate all your time spent with the owls & passing it on to us viewers. Now you both will have a well deserved rest. Sounds as though plenty of fun & excitement are awaiting you. Guess it is time to get out the shovel & clean house LOL. Only a thought— Maybe you should clean the box out before you leave. I have this feeling that by the time you get back— Molly is going to be at it again. NEW CLUTCH__ We all know how discusting the box is now. Thanks for everything, it’s all been great watching the owllets. I hope you all have a wonderful fall vacation and a joyful Holiday season. I will miss tuning in to the owlbox but shall hope for a male kestral under your Christmas tree! You really have touched alot of lives. Thank you Royals. Thank you so much for everything that you have done. The experience is one that I will never forget. Please keep me posted. Have a great and well deserved vacation. What a wonderful time has been had by all due to your generous giving of your time and resources! I’ll miss seeing all the owls and Carlos, Donna and Austin’s friendly faces on UStream. I hope you have a terrific vacation-you deserve it! Happy HS reunion to you too. May the holiday season ahead bring love, peace and joy to all the family. Thanks for sharing all of the owls with us. Carlos deserves an emmy award for all of his hard work. Donna you’re fantastic also with all your work and dedication. Hi Carlos and Donna, on your travels to Hawaii, if you have a ‘feather’ of Molly, McGee, or any of the owlets, it would be great to leave a feather at the foot of the ‘DUKE’ (The Statue of Duke Kahanamoku at Waikiki Beach, Oahu) for the FAMOUS OWLS who brought the world together. A bronze statue of Duke Kahanamoku welcomes you to Waikiki with open arms. Duke was a true Hawaiian hero, just like ‘Molly and McGee’ and one of the world’s greatest watermen, a master of swimming, surfing and outrigger canoe paddling. He welcomes visitors to Oahu, visitors leave their lei’s, gifts at his feet or put their lei’s on his arms. Truly an amazing experience. Thank you if you could do this for ‘The World’ it would be so memorable of our ‘Owl Family’ and how you and Donna brought the world together in these ‘trying’ times. May our ‘Owls’ lives be filled with soaring flights with wind beneath their wings, plenty of food and beautiful families. Thank you both for all you have done to bring the world together in peace. What a wonderful experience!! Enjoy your time away and hopefully we can all do this again. Thankyouverymuch! Carlos, here are some photos I took at the October 17th picnic: http://tinyurl.com/2a6whe8. If that link doesn’t work, please let me know. I’ve tried a number of times to get this info to you. I also have a lot of video from Barbara Allen and the auction. If you’d like to see them let me know. Thanks yet again for a great time watching the owls. I was here for both clutches. I’ve loved and collected owls for years, and I must say, Carlos, that you are a bad influence because I spent way too much money on Molly, McGee and the kidz from both clutches. My collection of owls has mushroomed! My hubby tells me we have owls in our woods… we hear them but don’t see them. He also said when I get the measurements for him, he will be putting up an owl box so hopefully, we will get some barn owls too. Have a nice vacation and I hope Molly and McGee are back when you come back, and that you will please please do it all again! Give Donna my sincerest thanks for wanting an owl box! Loved every minute I could share with you and will miss you and the owls terribly! I’m a latecomer to the owl box but have been addicted since finding it. Thank you so much for sharing it with us. I hope you will do it again when Molly and McGee have their next clutch. Dear Donna & Carlos, Itg was such an experience to watch the barn owl house. I started watching Molly & McGee when it heard it mentioned on the NBC news. Thanks so much for your dedication and time in sharing this wonderful thing. Have a great vacation and when you come back, if you see M&M, Ash & Carrie, will you let us know?? Would be great to know how they’re doing and thanks again. God Bless. Dear Carlos and Donna and Austin, Well I guess this is where the story ends, “Gee this was fun and I was apart of it”!! Thank you so very much for sharing this with all of us!! I got addicted very quickly after hearing about in on the nightly NBC news cast!! Only wish I had of been in on the first clutch too. Hope if they do come back again, that you will consider doing this over and again!! Thank you! you are such great people and we all love you just as much as our wonderful OWLS!! Have a great vacation that is well deserved by both of you!! Hope to see you both again in the spring, if we our lucky enough for Molly and McGee to treat us to another adventure!! Love you both and Austin too alot!!!! Cathy from Iowa.. LOVE OUR DEAR CARRIE!! She is one of a kind and will always have a”special” place in in my heart!! generated by your efforts with the barn owls of San Marcos. I have place your family (and owls) on my prayer board and I pray for you every day. I have been so moved by what you have done I am going to attempt the same thing where I live in St. Louis. I have no barn owls. We do have a lot of Barred owls but they do not as well around people as the barn owls do. We do have peregrine falcons and I do work in a tall hospital. I am in the process of working out all the details of place the camered box on one of the sheltered roofs of the hospital. Our bio-medical people are going to wire the camera into the TV system of the hopsital and split the feed to the web site. SOOOOO many things need to be done. I secured the web domain name but now I can’t find the dite to work on the page. Oh my! I partley blaming you this is all your fault!!!!! Ha-Ha. I have never met you but I love you for your goodness and joy that your have brought to so many. May God continue to bless you and your family and may he help me find my web page. Your nature photos are getting better and better. safely so we can do it all again! I’m so glad you both are home safe, and happy you had a great time. I do miss hearing from you and seeing the “babies”. I bet they have grown so much since the last broadcast. Please try to get a picture of them and put online. We all miss them soooooooo much. Carlos, we miss you and Donna as well!!! I live in San Marcos and want to be updated on the saga of Molly and McGee! Thanks so much for sharing this special experience with the whole world! Have watched since early March. Would love to have updates of all the “owl goings-on”, and Donna and Carlos as well. I’m so glad you recorded the final chapter. I had the site up all day but you must have come on when I went up to eat. So now I’m watching the recording. I’ve been here for both clutches and am hoping there will be more. I do so love watching the owls and owlets, and I really appreciate all you’ve put into bringing this to the world. Thank you Carlos and Donna. Have a nice trip and hurry home so we can see the owls again. Also love all your other bird photos too. The grandsons and I have been following Molly for 4 months. Have never been a “bird person” but you and Molly have won me over. Thanks for all the hard work you do to allow us to enjoy the ride. Thank you Carols & Donna for one of the most wonderful experiences I’ve ever had. I feel an attachment to these amazing creatures that I never thought I could. Enjoy your trips and if you see fit maybe we’ll see you again some day. This one is for you, Carlos, Donna, Molly and McGee. for the preservation of the parks and the wild life in the area. most famous barn owl family, have also learned about Kestrels, Cooper Hawks, Red Shouldered Hawks, Towhees, Stellar jay’s, Northern Flicker, Blue Birds Western Kingbirds, and many, many other birds, and animals. Even spiders! What other “individual birds” have brought so much learning to so many… literally over 20 Million around the globe. much longer but being realistic… This is more or less a once in a life time situation. just because it will probably never happen again? to love nature and been made aware through this one little owl family. making Molly and McGee the specific Birds of the year. I have voted numerous times for Tyto alba, the barn owl, but maybe I should put in Molly & McGee just to make a statement. Liz Garney from League City, TX……deet, deet, deet! Hear Hear Grace!!! I am with you one hundred percent. I knew very little about owls and not only have learned a whole book full of information, but have come to love this bird, and most specifically Molly, McGee and their broods. I have never spent so much time in front of my computer until I learned of them. What an extraordinary experience and feel honored to have been able to be a part of it and……….yes, wasn’t it fun!!! I just learned this past week, that we have owls too! I’m not sure what kind because I’ve only heard them and not seen them. But our neighbor right behind us, says that both he and his wife have seen them. He said he saw a mother and baby sitting on a branch in the edge of his wooded lot! I’m trying to get my husband to build me an owl box. where can I find the correct deminsions for an owl box? If we have one owl family, I sure want to encourage more to move into our rural area! Here’s a thought for you, Carlos… After the wedding, why don’t you hook up the cameras right? Dig trenches for all those cables and bury them so that you won’t have to trip over them next year. I’m only joking, Carlos, though I truly hope that there will be a next year. of my mouth pops a plaintive, “Molly!” Actually, it looks more like McGee but what the hey? It makes me think of Molly. I’m still working on the hubby to make me an owl box for my wooded lot. I know we already have owls out there… but I want to have a family of owls of my own! Oh, and what date did you say that wedding was? I’m sure many of your “owlish” family from around the world would like to show up! LOL! Have a wonderful Christmas, Carlos, Donna and Austin. Hope to see you again in the New Year! May Molly and McGee have many years of owl clutches in the future! Wouldn’t that be fun? Watching them throughout their entire lives and into old Owl age? Love you guys. And thanks for all the work! Grace Shaw, a dedicated fan from the beinning… and for owlways. I just read your “predictions” and I don’t know what cold medicine you are on, but I sure would like some. LOL! You take care of yourself as we need you to put out all those wires and hook-up Molly’s camera’s again. We don’t want to miss C3 you know! Do take care of yourself Carlos. I’ll say a prayer for your quick recovery… and for Molly and McGee’s quick return too. Happy New Year Carlos and Donna! I hope you are doing well and hope you are putting the camera’s back up so we can all share the next clutch for Molly and McGee. Any signs of them mateing yet? I’m so sorry that you won’t be brodcasting Molly & McGee again and for the reasons why. I can’t believe that anyone would threaten you. That is so very stupid and I’m so sorry that people can be that stupid. I know many people who’ve heard about Molly and McGee and were hoping to get a chance to see them in the future. You did something really great and I truely will always remember 2010 and wish that it could have gone on for years. We will never forget you and the wonderful experience that you provided for us. I will pray only good things for your future. I will really miss Molly and McGee. They almost seemed to be members of the family, as did you and Donna and Austin. If you should happen to snap a photo or two in the future, wheather you broadcast or not, do please share the photos… not only of Molly, McGee and any future owlets, but also of your wonderful shots of other birds, etc. You are a wonderful photographer. God Bless! Carlos, Donna and Austin – I just wanted to express my sincere gratitude for all you did in 2010. While I will truly miss the broadcasts of Molly and McGee – and family, of course – I totally understand your decision. It’s a strange world out there nowadays! Wishing you all the best in your future endeavors, and give my love to Molly, McGee and offspring! Got my book! It’s wonderful and well worth waiting for. Bleated Happy Birthday, Carlos! Can’t wait to get the C2 book. I sure miss Molly and McGee and the babies. Thanks for the photo of McGee. Sure wish we could see C3 even without all the anouncments and personal attention though that is what made your transmission special. Wish many blessings on you and Donna! Very beautiful pictures of the desert. Thank you so much for the Molly Show! It was great to see how many eggs and the new baby. C3? name? While I wish you a great vacation, sure hope you will come back and let us take a peek inside the box when you come back? Even if you don’t broadcast all the time, perhaps once in awhile or maybe even a screen shot from time to time? Anything to update us on how things are going for Molly and McGee & C3. They, and you are family after all! Meanwhile, have a great trip. Drive safely. We’ll be praying for your safe return. I just got Austin’s new DVD and it’s awesome! Thanks Austin for making such a great DVD! I’m proud to be able to help you get your education! Carlos, Donna, Austin: thank you from the bottom of my heart for giving us a life changing memory of Molly, Magee and their owlets….If you ever feel the urge to let us know what’s up in the owl box – any new owlets peering out – we’d sure love to know. Many, many blessings to you as you continue to enjoy your retirement! God speed…….. I hate “Good Byes” and so won’t say such. Thanks for everything. Enjoy your retirement. You started a wonderment for wildlife and now, thanks to you, we have many owl cam sites and have even searched other wildlife sites, such as Africam and WildEarth, etc. where can follow wildlife in their habitat. But, nothing, nothing, nothing can ever replace the first experience with Molly and McGee. It’s amazing that so many of we chatters and MODS still communicate with each other. You performed a social experiment – maybe without knowing it – and it shows that people with like minds but diverse backgrounds, economic status and other parameters can and do get along and learn to become friends and actually *like* each other. You are also responsible for the relationship we have with John Atkinson and his broadcasts. He is a joy and has filled the void many of us felt in our hearts. We love Uncle VacaDude! OK – before I go into tears – bye for now – see you around the bend – enjoy your retirement, your travels (we’d love to receive photos and travelogs like you did before!). Thank you, thank you, thank you! You might all like reading the charming poem about a barn owl written by Ted Kooser, our US Poet Laureate a few years ago. Of course it is copyrighted so I can’t copy it here. You can find it at the library in his book: Weather Central. I believe Ted grew up on a farm in Nebraska, and this is a barn setting for this owl. Fabulous poem. Enjoy. Thank you, Carlos and Donna, for the great gift of love and joy you gave through sharing the Owl Adventures of Molly and McGee & Families with the world! Oh Betsy, thanks for finding the link. I had told Carlos of this poem recently, since I am a poet, and have also heard Ted Kooser read in person. Of course the poem is copyrighted, so I knew he couldn’t print it without permission. Listening to the poet himself read it is perfect! I find it to be a fabulous poem! Ted was US Poet Laureate a few years ago. Thanks again. What! No more Molly. What am I going to watch now? Did not hear the reasons for not broadcasting 2011. Where can I find them? Glad to hear you had a wonderful cruise vacation for your anniversary. Coming back to “reality” is not all that bad though when you have such a lovely home and family and friends that care about you. Hey Carl & Donna, you need to put an Owl box or two on the rental property. Then you can advertise the units as the Owlbox Community! Maybe you should put some other types of bird boxes around. You might be surprised at how many people would love to have that nature connection… as long as they didn’t have to do the work to maintain it! I know that was the one thing I missed the most when I lived in a apartment. We just returned to Indiana from North Dakota. Do you still have property in Watford City and Dickinson? I do still have property in Dickinson but not Watford City. Hi! Thank you for letting me know more about Molly and McGee. Year after year, I have looked on the internet and seen Molly tending to her eggs, laying eggs, and doing all kinds of things that mommy owls need to know how to do. I can tell that owl boxing is a ton of fun! I enjoyed every minute of your precious Molly and McGee, so sad it’s ended, but life goes on. Looking at all the expenses you had with the cameras makes me wonder, why didn’t you just get an outside camera instead of going through so many indoor cameras – it would have been cheaper!!! Have a wonderful 4th of July. Is the heat as bad down there as it is in ND? We’re sitting at 94 degrees with humidity of 85% right now – ugh! This is normally August weather for us, not June and July!! But looks like a big storm coming in right now. I have to go to Bismarck on Thursday and it’s supposed to be another 90+ degree day. Take care, love you guys! I did buy outdoor camers where they would do the function required and where they were compatible. The problem was I could not find outdoor camers the size, functionality and compatibility needed. Believe me I spents hours searching. FYI two outdoor cameras also failed. It is going to be a cool 72 degrees here today and we plan to enjoy it! Have a nice day in James Town, ND. We love North Dakota. I am a high school teacher and today we dissected Owl Pellets. As the students worked, I ran the Molly DVD and pointed out various things that happened. The students were fascinated! Molly, McGee and the “Kids” are still making an impact! Thank you! Maureen, thank you for sharing with us! Molly and McGee brought a lot of people together and are still friends today. What a great social phenomenon. Best wishes to you and your students. Congratulations on Molly and McGee Day in San Marcos! I still think of them (and of course you guys) every time I hear an Owl screech in my neighborhood. So many nice memories. THANKS! My grandchildren and I still have the Molly Song CD in the car and sing along to it….often the requested CD. When we hear the sound of an owl as we sit out back the youngest one says, “Molly”??? I just smile and say, “Yup, maybe”. Thanks to Carlos and Donna for their sharing their owl box with us all.